Call them sports treasures. There are bats used by sluggers, jerseys of Hall of Fame players, trophies won by championship teams or rare trading cards that elude even the most diligent of collectors. They are out there—or perhaps they are nowhere. They sit in attics, cellars or in some forgotten corner of a museum. Some have been destroyed or lost. Indeed, the 1857 “Rules of Baseball,” the first document that sets bases 90 feet apart, puts nine players on a side and specifies that the game should end after nine innings (not when the first team scores 21 runs), only recently turned up in the desk drawer of a Texas man who had bid $12,650 for them in 1999. Collector John Thorn calls the document “baseball’s Magna Carta.” The handiwork of Daniel Lucius “Doc” Adams, president of the New York Knickerbockers Base Ball Club, the document could draw bids of more than $1 million when it is auctioned this month. Did Muhammad Ali really throw his Olympic gold medal into the Ohio River out of disgust for the way he was treated by Louisville’s white population or did he simply lose it? If it’s not at the bottom of the Ohio, where is it? Here is an updated list of Lost Treasures that Sports Illustrated originally published in July 2005. Perhaps no trophy in international team sports is more coveted than the prize that is awarded every four years to the winner of soccer’s World Cup. 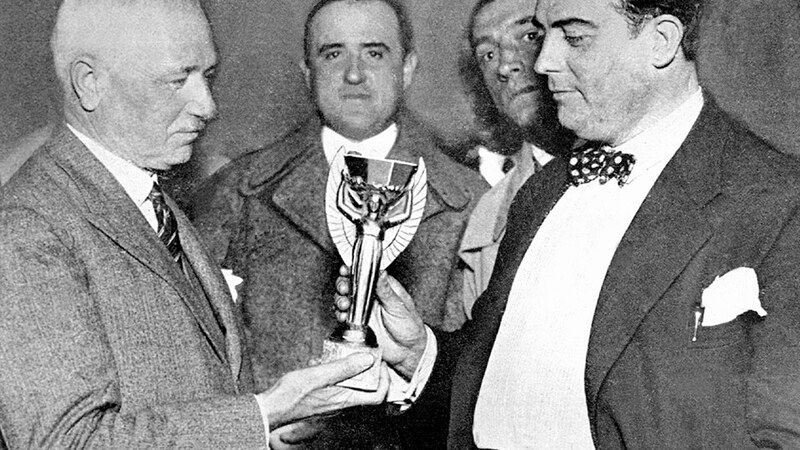 The original Jules Rimet Trophy was presented to every champion between 1930 and ‘70 with the first team to win three World Cups taking permanent possession of the trophy. Brazil did just that in 1970, and placed the Rimet Trophy in a bulletproof case at the headquarters of the Brazilian Football Confederation in Rio de Janeiro. Permanence, however, lasted only 13 years. In 1983, four thieves broke into the confederation offices, beat up a guard, broke into the trophy case and made off with the prize. The four men were later apprehended and convicted, but the Jules Rimet Trophy has never been found. It likely was melted down for its valuable metals. The International Boxing Hall of Fame in Canastota, N.Y., has a complete collection of Ring issues but private copies of the original magazine in good condition are extremely hard to find. It has been estimated a good first edition of The Ring could fetch more than $500. 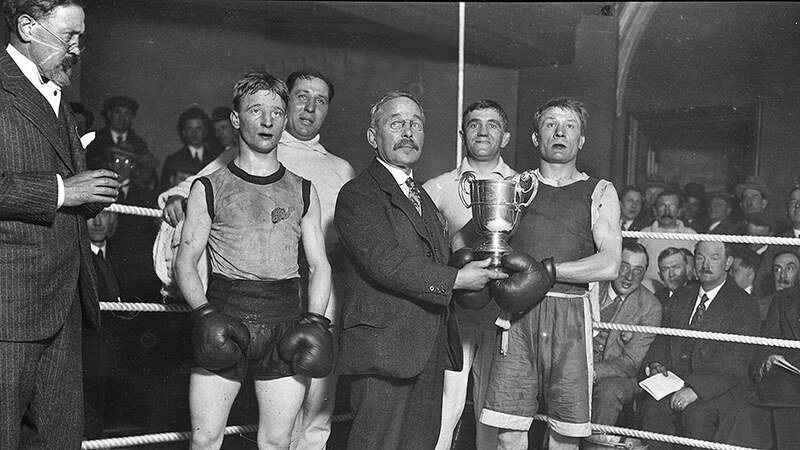 Legendary promoter Tex Rickard is on the original cover along Lord Lonsdale, a patron of the sweet science in Great Britain. The helmet worn by Navy’s Joe Reeves in 1893 is quite a prize, according to College Football Hall of Fame curator Kent Stephens. 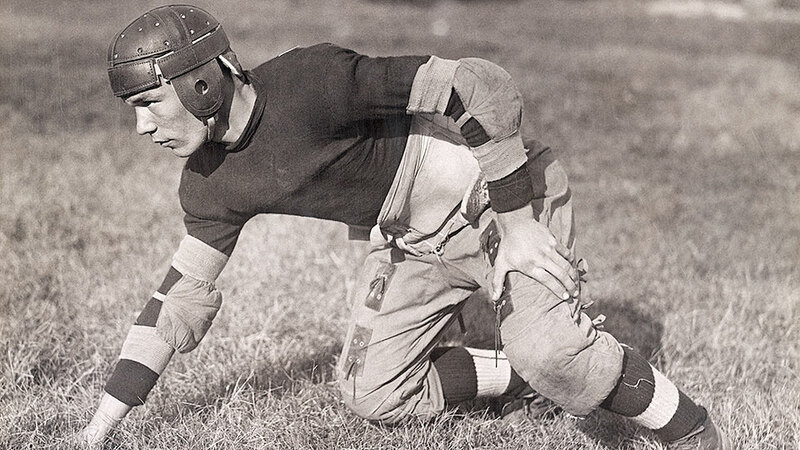 In an era when all players went bareheaded, legend has it a Navy team doctor warned Reeves that a kick to his head could result in “instant insanity or death.” Suitably alarmed, Reeves had a shoemaker create what is believed to be football’s first helmet. Later in life, Reeves became better known for integrating aircraft carriers into the U.S. Navy’s fleet. Yes, that’s Ed Thorp, not Jim Thorpe. Ed Thorp was a referee, rules aficionado and a supplier of NFL equipment in the league’s early days. When Thorp died in 1934 a large trophy was made in his honor to be given annually to the champion of the National Football League. As with hockey’s Stanley Cup, the Thorp Trophy would have the year’s champion inscribed on it and be passed around from year to year. But where is the original trophy? 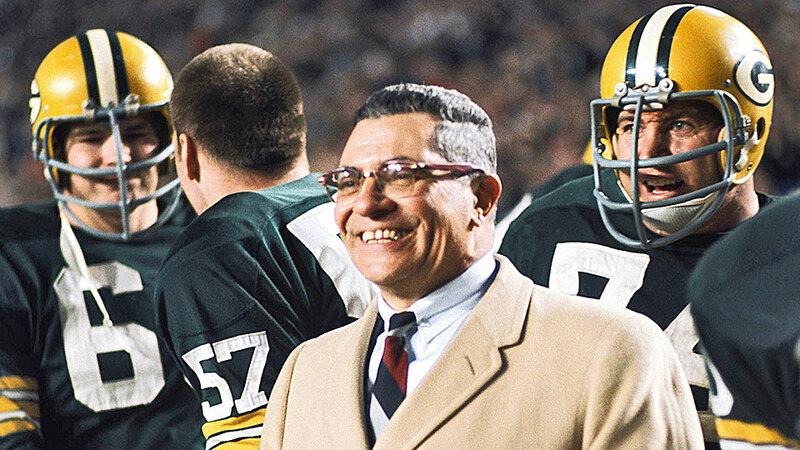 Although there are several duplicates, some speculate the Green Bay Packers took possession of the original Thorp after winning back-to-back NFL titles in 1961-62 and again in ’65. Another theory is that the Minnesota Vikings, the ‘69 NFL champ in the final season before the NFL-AFL merger, somehow misplaced the trophy. This has led to talk of Ed Thorp’s ghost condemning the Vikings to Super Bowl misery. Minnesota is 0-4 in Super Bowls and has not appeared in the big game for 40 years. 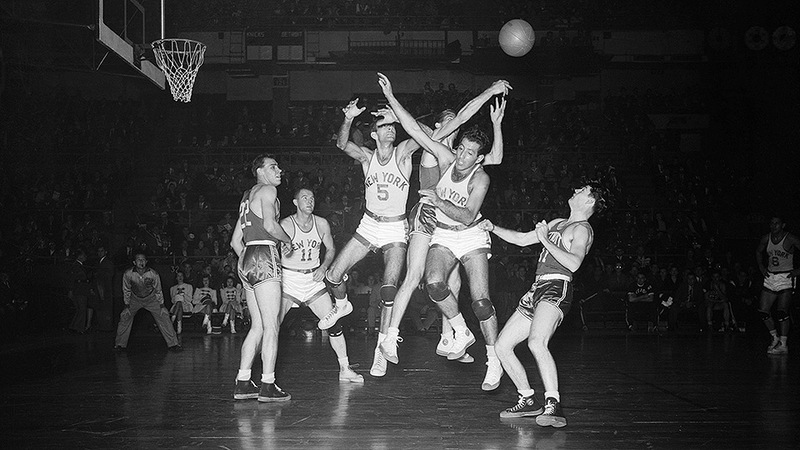 Any items associated with the first NCAA tournament in 1939 or the very first NBA game between the New York Knicks and Toronto Huskies on Nov. 1, 1946, carry high interest. Matt Zeysing, curator of the Naismith Basketball Hall of Fame, says although the Hall does not have any Knicks or Huskies jerseys from that 1946-47 season, it would not surprise him if private collectors have gotten a hold of a few. And any basketballs or uniforms used in the first NCAA tournament in Evanston, Ill., certainly would draw interest from collectors, curators and historians of the game. 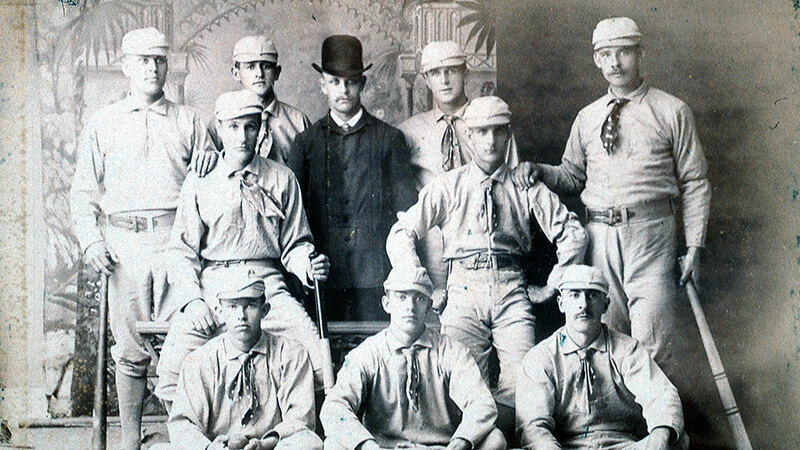 The Dauvray Cup was replaced one year later by the Temple Cup, awarded to baseball’s champions from 1894-97. The Temple prize is in the Hall of Fame at Cooperstown but not on display. Broadcaster and collector Keith Olbermann said he’d be happy to take the Temple Cup off the Hall of Fame’s hands in exchange for some of his famous ball collection that include the Carlton Fisk home run from the 1975 World Series and the ball Cookie Lavagetto hit to break up Bill Bevens’s no-hitter in the 1947 Series. Other than baseball, no U.S. sport features a longer history than college football, dating to the first intercollegiate game between Rutgers and Princeton on Nov. 6, 1869. 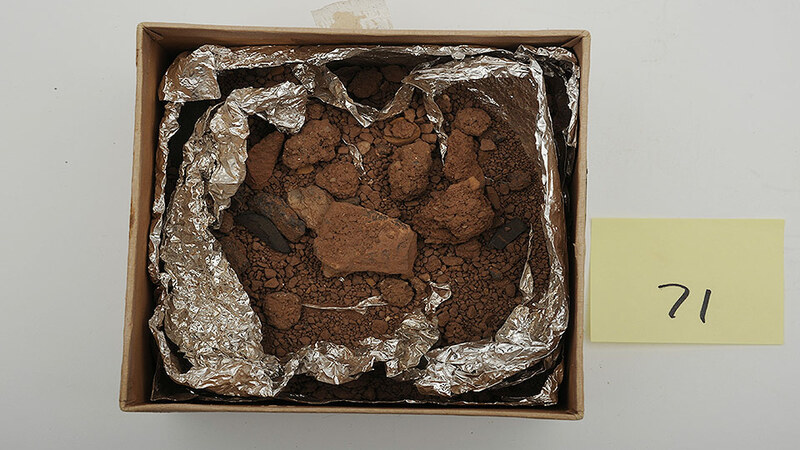 Curator Kent Stephens said the College Football Hall would love to find the ball from that first game, pieces of the fence that surrounded the field (the photo above is dirt from the plot of land where the game was played) or the scarlet kerchiefs that were worn by the Rutgers players. The very first season of the National Football League was a bit of a free-for-all. In 1920 teams played different schedules, from as few as one game (the Muncie Flyers) to as many as 13 (the Decatur Staleys—later the Chicago Bears—and the Canton Bulldogs). It wasn’t until the following spring that league officials declared the 8-0-3 Akron Pros to be the ’20 champs over the 10-1-2 Staleys and the 9-1-1 Buffalo All-Americans. Akron featured Fritz Pollard, the first black quarterback and coach in professional football. Pollard and his teammates were awarded with a handsome cup made by Brunswick-Balke-Collender, a sporting goods manufacturer in Cincinnati. 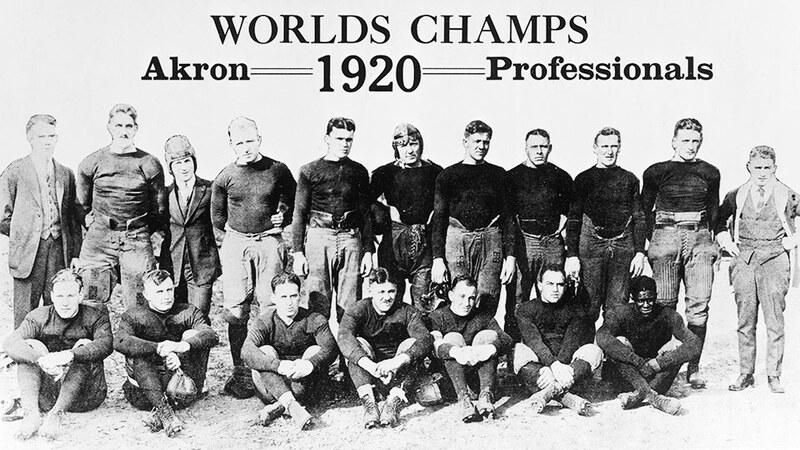 But within three years the Pros had become the Akron Indians, and by 1927 Akron was out of the National Football League. The Brunswick-Balke-Collender Cup? No one knows its whereabouts. 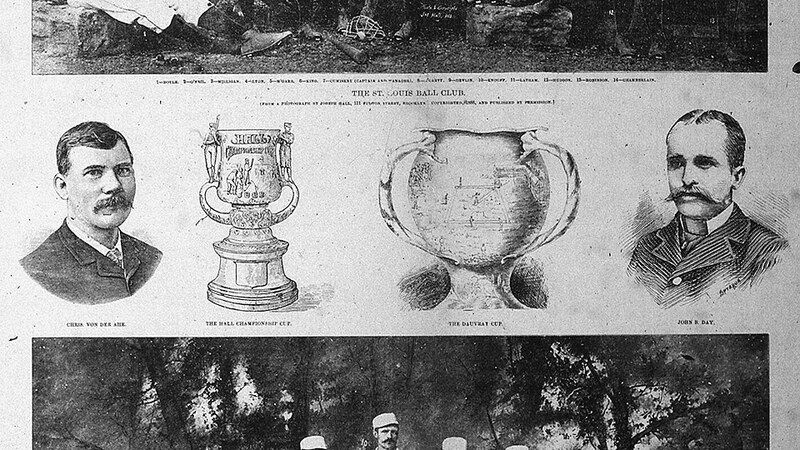 Unlike the Ed Thorp Trophy and the Dauvray Cup, there are no known photos of what was described as a silver loving cup. Brunswick-Balke Collender truly is pro football’s Holy Grail. 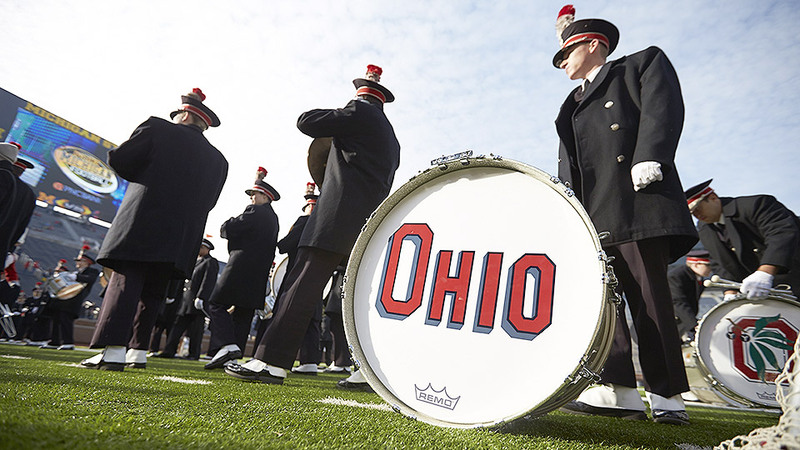 One of the great marching band traditions in college football is the Ohio State musician—or an honored guest—who “dots the I” atop the script Ohio during the Buckeyes’ halftime performance. The tradition was started by John W. Brungart, a trumpet player from of Coshocton, Ohio, in 1936. “When we did it, everyone went nuts,” Brungart told the Coshocton Tribune years later. “We thought it was another formation [but] it became a tradition. It was something.” Brungart, who ran a pharmacy in Coshocton from 1949-84, died in 2005 at the age of 89. Even though Ohio State began using sousaphone players to dot the I in 1937, Kent Stephens said the College Football Hall is most interested in learning if Brungart’s trumpet is still around. Brungart continued to play in the OSU alumni band after graduation so who knows.